I'm already tired of taking snow photos, and we still have this month and next – at least – to get through before all this stuff melts. But this morning, as the coffee was brewing, I looked outside and saw an image in the snow. 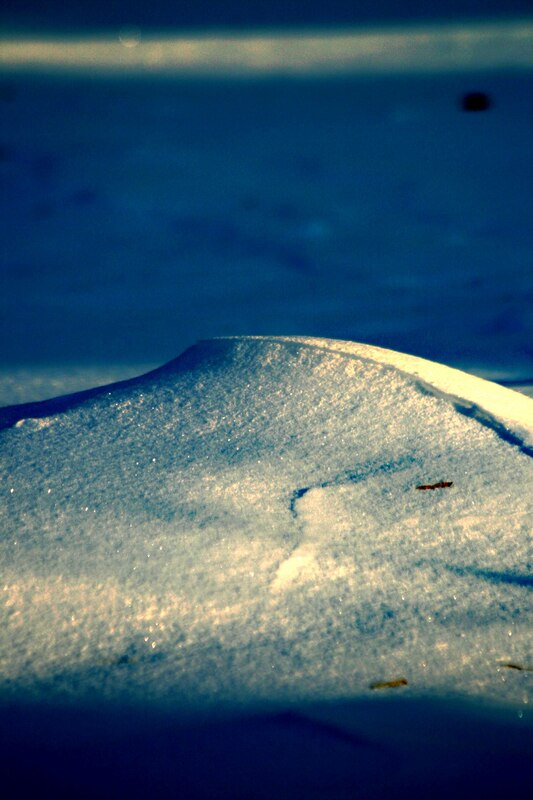 It looked like a wave, or maybe a sand dune, frozen in time. Cool! thinks I, and I ran to grab my camera. I took a few shots inside, then put on my boots and went out – still wearing my pajamas, mind, and no coat. Small wonder my neighbors don't speak to me, out of fear I'll start hanging around. Just when I think I can't stand the unrelenting, blazingly bright white any more, up pops a surprise. Yet further proof, if you pay attention, every now and then you get rewarded.